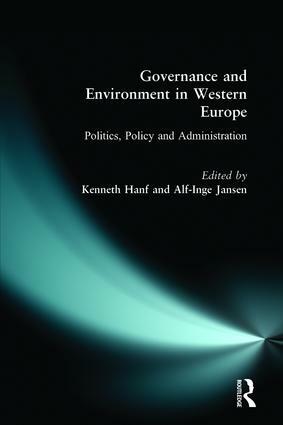 Governance and Environment in Western Europe: Politics, Policy and Administration, provides an up-to-date overview of developments in this area focusing on a selection of ten countries in Western Europe and the European Union. The countries examined are: Denmark, France, Germany, Greece, Italy, The Netherlands, Norway, Spain, Sweden and the United Kingdom. The range of countries covered - representing as they do different stages of development in environmental policy, different state and institutional traditions - provides an interesting comparative analysis of how different countries confronting similar problems of environmental management have responded politically and (re)organised their administrative systems for implementing these policies. Britain: Coming to terms with sustainable development? Germany: The engine in European environmental policy? Spain: Environmental policy and public administration. A marriage of convenience officiated by the EU? Environmental challenges and institutional changes. An interpretation of the development of environmental policy in Western Europe.